Burger King silver Vegeta head would be my choice. 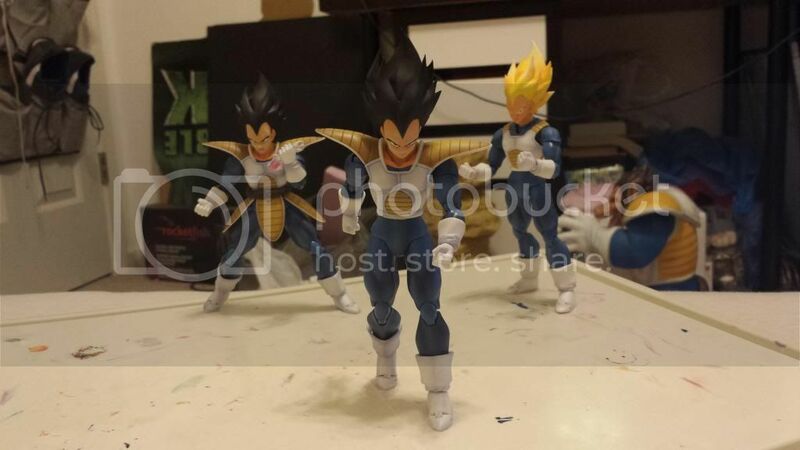 Or hscf bootleg Vegeta head. 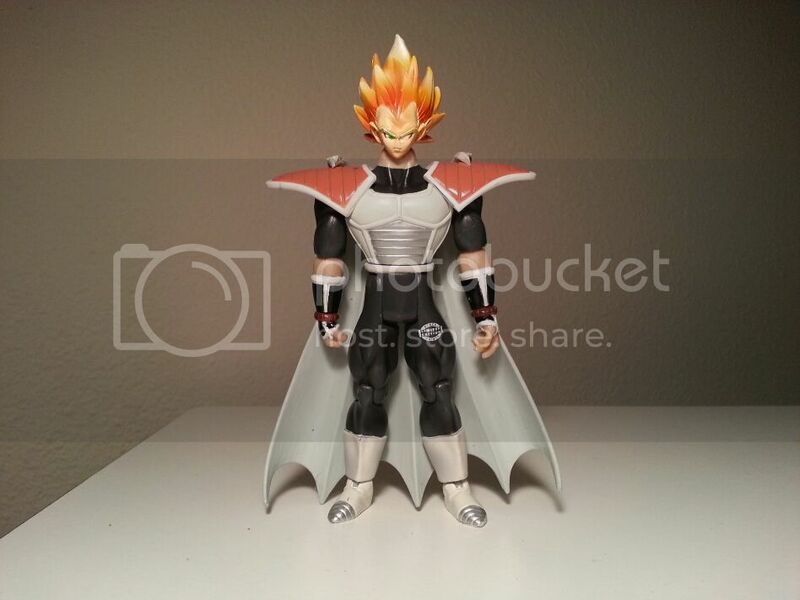 The jakks heads, other than the rare one that comes on the ascended trunks body and the super ugly art of fusion one, are all too small to use. The bk one is marginally bigger, the hscf one is quite a lot bigger. My king Vegeta I'll be making one day is an ascended trunks body with the head off an hscf Buu saga Vegeta bootleg. Here, you can see the rough draft. That looks f'in sweet. Why aren't you working on him now? Don't want to work on it right now Adam. That pic is from almost a year ago anyway. I'd recommend getting one of the other HSCF bootlegs if I were you and you like one of the other heads just as much. The body for that Buu Saga Vegeta is useless and a stupid pose. Get the head off the Saiyan Saga Vegeta and at least you'll have a body that's probably useful for using to make another character. I had the Namek Vegeta body and didn't like it much, his arms are short and boots large. I've never had the Saiyan Saga one, but it's the same scale, and again, has a body that is probably useful. 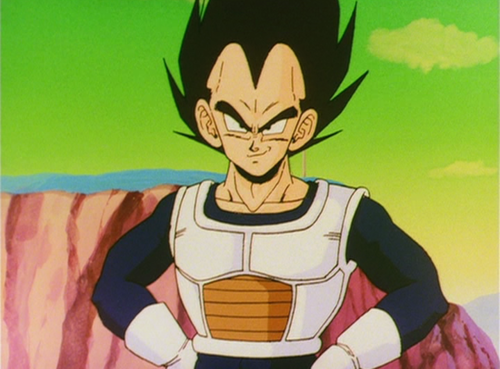 I was just wondering if there was anybody out there who would be willing to customize my saiyan saga into a namek saga vegeta. There are a few specifications I'd like to ask, but there's another thing I'm curious about. Has anybody tried to change a facial expression on one of the figuarts faces? I mean they're awesome, but if they had one of vegeta with his maniacal laugh, that would be perfection. Last Edit: Jun 5, 2014 0:56:43 GMT -6 by timone317: changed title, not quite ready to have a finished customs thread yet. got a few plans for it. I might be able to help, just send me a private message with the details. Would anybody be able to do this? My customizing skills are brutal, and I'd love to have the 4 vegeta armours. I already have the saiyan one and a namek one on the way. Does anybody think they could turn the Saiyan Saga vegeta into this beautiful piece of art here? No. I think you should just use a regular ol' Vegeta and sell me that SSJ Cheap! I would assume you intend to re-create the Namek armoured Vegeta, correct? You are actually able to remove the shoulder pauldrons from a Saiyan Saga quite easily. I would suggest trimming the peg joints off the shoulder and sculpting the remaining section of the chest armour. Far easier than what you have in mind and substantially more cost effective! I love this uniform for vegeta, but such little merch for it in comparison to other armours. Plus the S.H. Figuarts line is just amazing! From Saiyan saga? That's gonna be a challenge for whoever takes the offer I think. 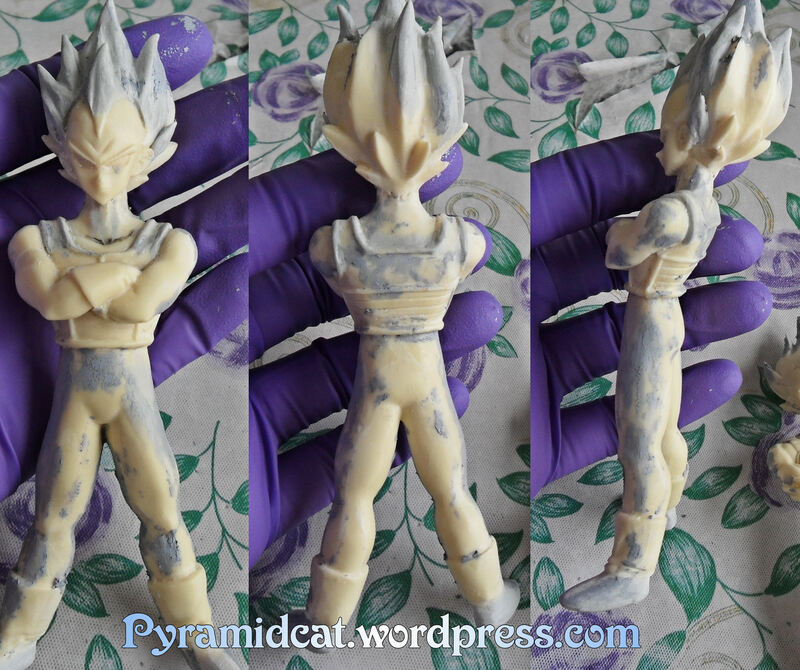 Hmm the challenge would be re sculpting the brown abdomen part, unless you get a ss vegeta but that would be a really expensive custom.If that isn't a big deal to you then it can be done. Also needs a darker blue but that's about it. 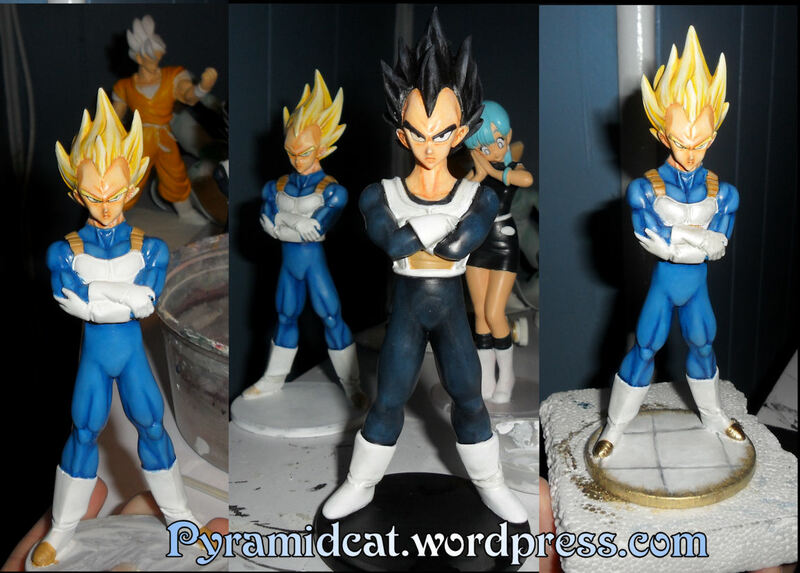 I did this custom for brow dynamite which was namek armor vegeta but the later episodes.